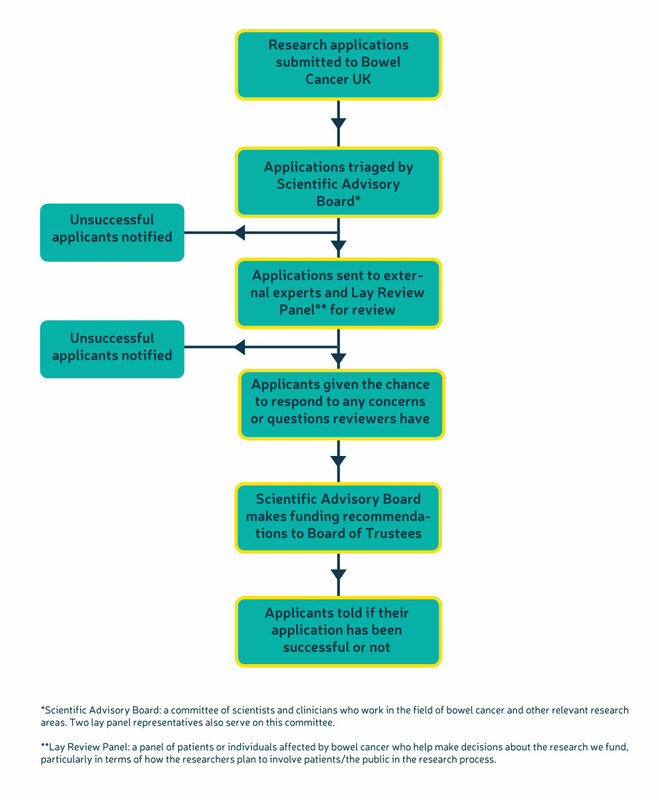 Following receipt of applications, the Scientific Advisory Board will carry out an initial assessment and any applications deemed to be of insufficient scientific quality at this stage will not be progressed to peer review. The Board will also reject any applications that do not fit within the research areas defined above. We will provide feedback to applicants who are rejected at this stage. Successful applications will then be sent out to external peer review and review by our Lay Panel. The Lay Panel will assess the applications from a standpoint of patient benefit and participation. Prior to the Scientific Advisory Board meeting, the applications will be shortlisted based on the peer reviews. We will provide anonymised copies of reviewer feedback to all applicants. Those who have been shortlisted will also be asked to provide a response to the reviewers’ comments and may be required to answer questions that have arisen as part of the lay review. The Scientific Advisory Board will meet and discuss each of the shortlisted applications. This meeting will encompass a scientific review and will include feedback from the Lay Panel. The Board includes two representatives from the Lay Panel. The Scientific Advisory Board will make a recommendation, based on the discussions at their meeting, to our Board of Trustees who will make a final decision on which grants to award. If you would like to be notified of future grant rounds, please complete this form.